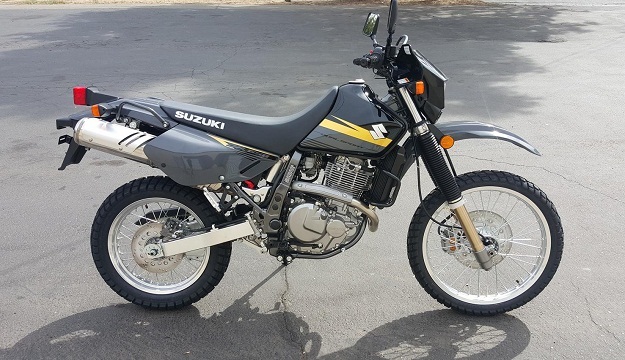 You can simply rebuild the 43mm conventional forks with heavier springs, fresh fluid, seals and bushings to be a simple as it gets, rebuild the shock with fresh fluid, nitrogen, bumper or bladder, even a mild revalve for about $595.00 to $748.00 or so depending on rider weight and conditions. 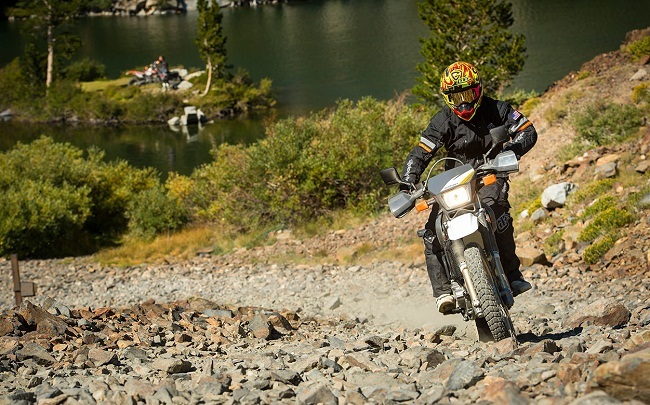 You can add a heavier rear spring for your weight or loading if using the bike as a pack mule. Some add Widgets / Emulators/ or Pistons to stock suspension redo’s that add to the price. 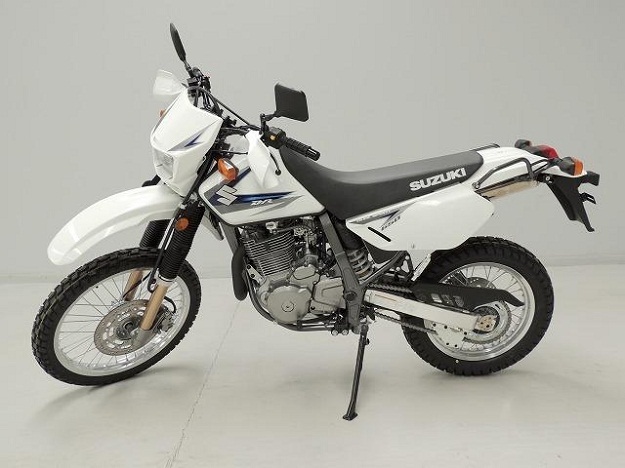 The popular Suzuki Dr 650 from 1996-2018 minor changes from years other than paint colors, the standard suspension is very basic and dated to say the least! The Elka Shock above has Hi/lo Compression, Rebound and Spring preload adjustable with a heavy duty 46 mm body and 16 mm shaft, the spring has a “flat bearing” at top to reduce frictional drag. This is a great shock for the price! we sell lots of these, so if a full upgraded replacement is in your future consider this one. This ELKA shock above has added Hydraulic Remote Spring preload adjustment with same both Hi/Lo Compression and Rebound but no flat bearing because of preloader. Flat Spring bearing shown above between flat plates. 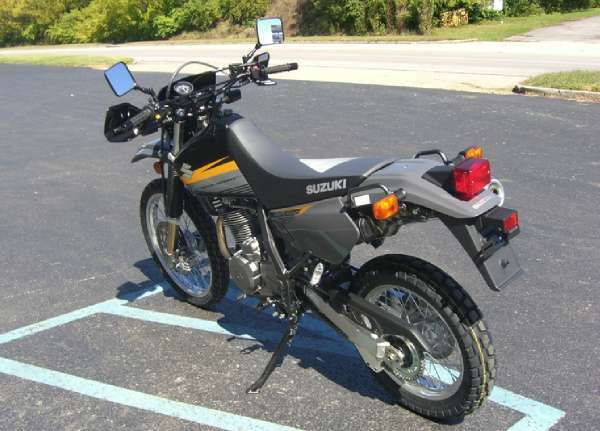 We sell an Elka Shock that’s very popular and great features for the price! For some a Hydraulic remote spring preloader can be an option to above shock shown. 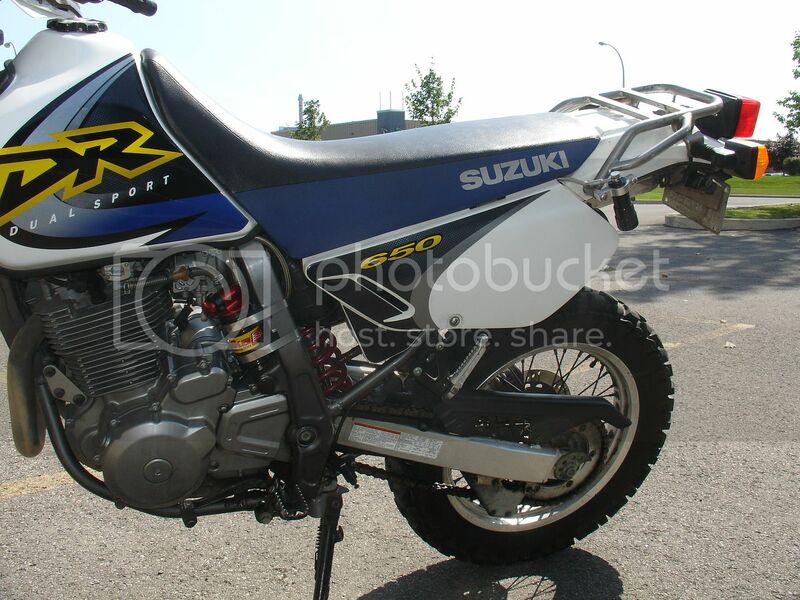 When the right hand man Sebastian at Elka owned a DR650 for years, he made sure a great shock was produced! 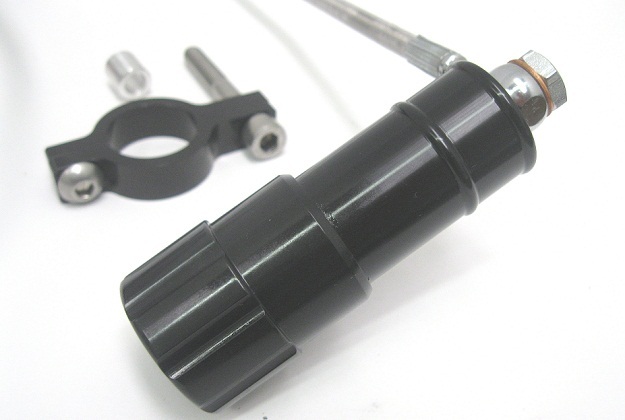 The above shock features both Hi/Lo Compression adjustable, Rebound Adjustable, a very heavy duty 46mm body and 16mm shaft with a floating nitrogen piston within the reservoir instead of cheaper bladder style designs, with threaded spring preload. 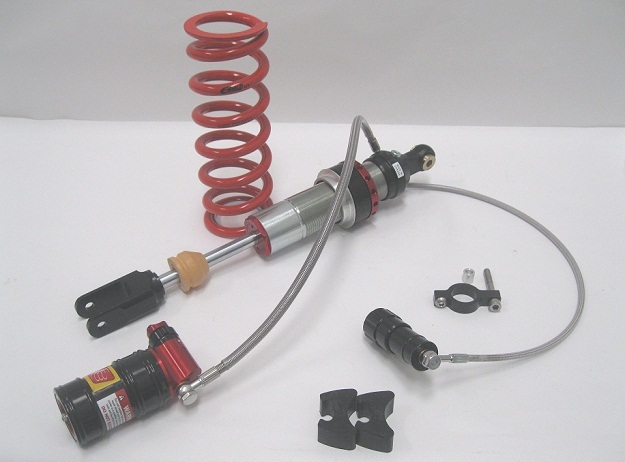 Elka shocks can be easily serviced and rebuilt and are made to last a very long time, many would out live the bike if kept clean and occasionally serviced. Elka shock shown above with hydraulic spring preloader knob at rear. 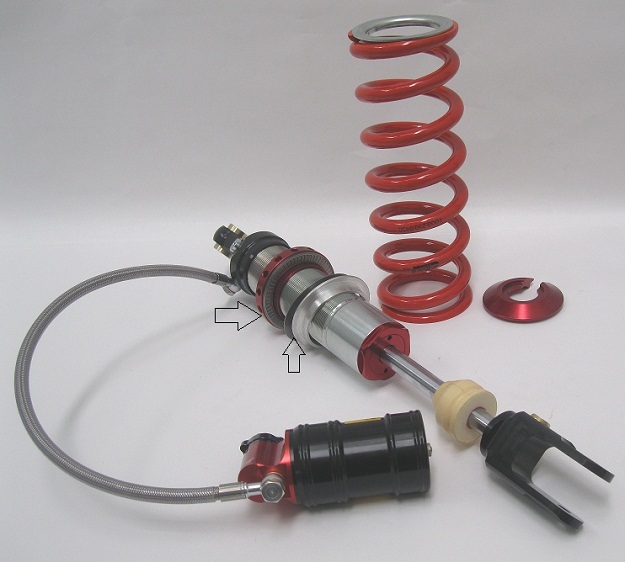 The Standard shock spring (White Spring) claimed rate of 6.5 kg/mm. 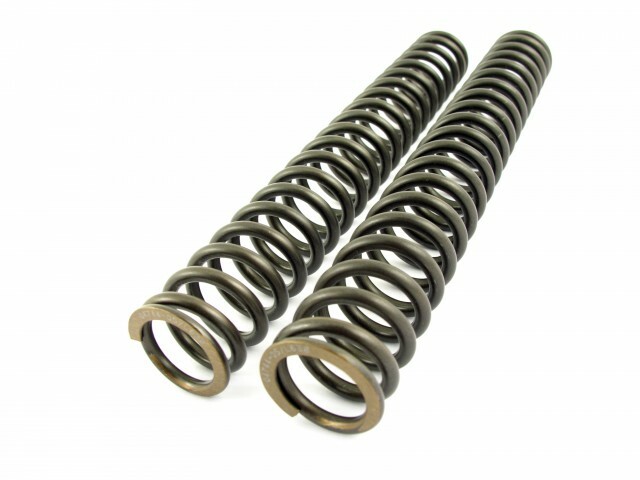 There are many rates in aftermarket springs depending on your weight and loading. 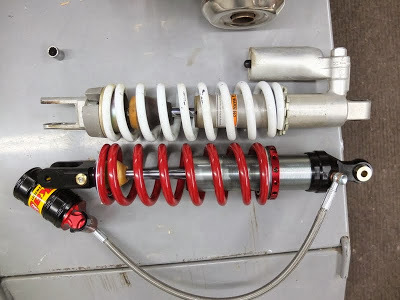 You can use an Ohlins springs, yellow in color for this shock in many optional rates but a new shock with real features is the way to go because the standard shock is basic at best. 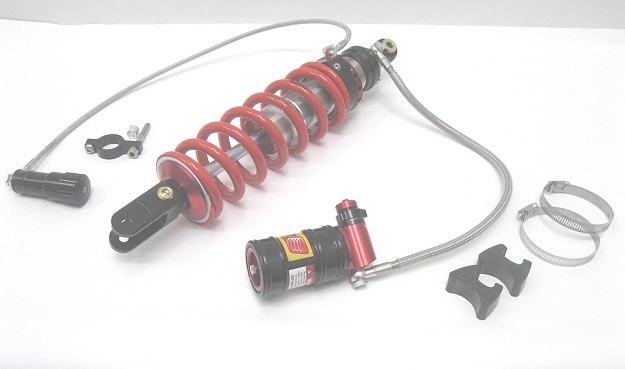 The Red Spring on this Elka Shock shown is a 70n/m or 400lb or 7.13 kg/mm but many other rates are available. This is the hydraulic spring preloader all “Off”. This is the hydraulic preloader all “In” moves spring additional almost 10mm preload and has about 45 clicks. The preloader knob has clicks when you turn it about 45 on them . FORK options for the KYB 43mm conventional forks can update a Damper Rod and Oil fork with a cartridge emulator #FEGV4301 series. 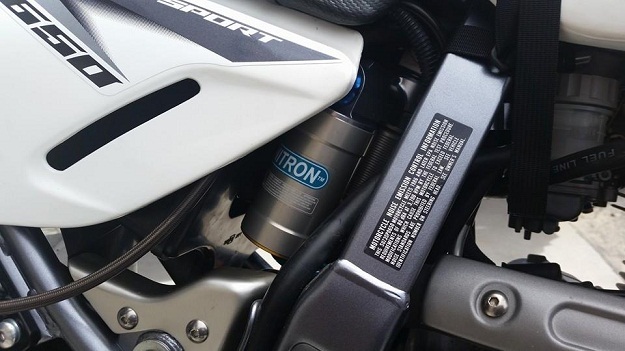 Reminder once you do these you run thinner suspension fluid in the forks because they are more of a cartridge closed system rather than a damper rod with a few holes that needs heavier weight fluids. 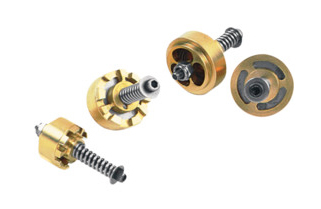 The emulators are some what adjustable by removal and turning allen key on pressure spring and optional strength pressure springs are available. 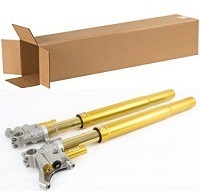 They do come with instructions, often times a new fork spring is better than the soft stock rate of .40kg/mm. You can use #FRSP3755 36.5mm x 550mm rates of .60/.65/.70./75/.80 kg/mm. 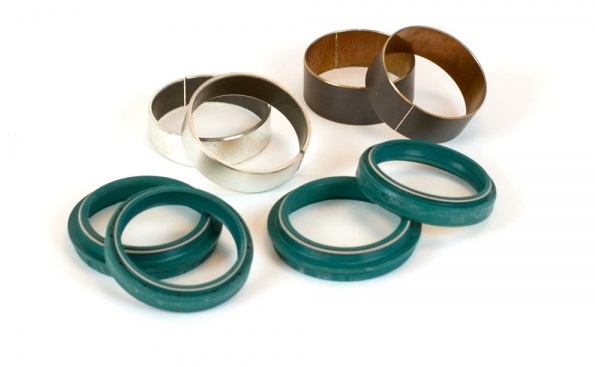 Fork Seal and bushing kits are available to upgrade when doing your forks, we recomend the SKF super good quality parts but others are available. 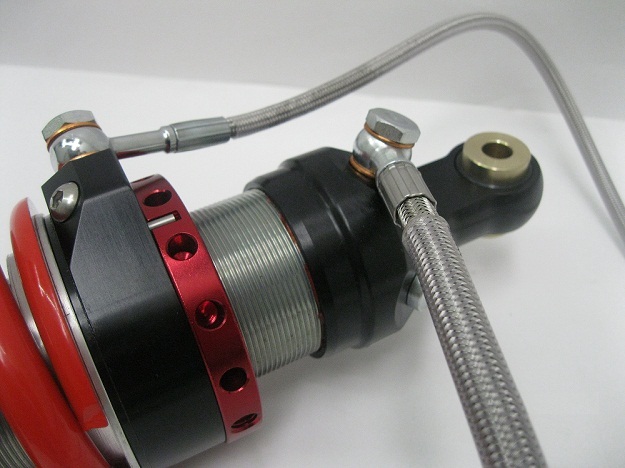 We sell several Nitron shocks, they are available in many configurations, shown above is a piggyback design with compression, rebound and hydraulic spring preloader. To find a “piggyback’ in the below list it will have “PBB” in the number. 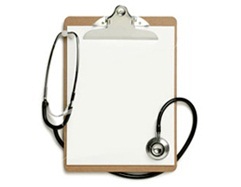 *Prices subject to change with Import and currency rate, allow about 30 days to get. NTR ADV R1 Shock… M-16/46-GS-D1…. NTBKS 53S…. NTR ADV R1 Shock… + HPA M-16/46-GS-D1-HP1…. NTBKS 53SH…. 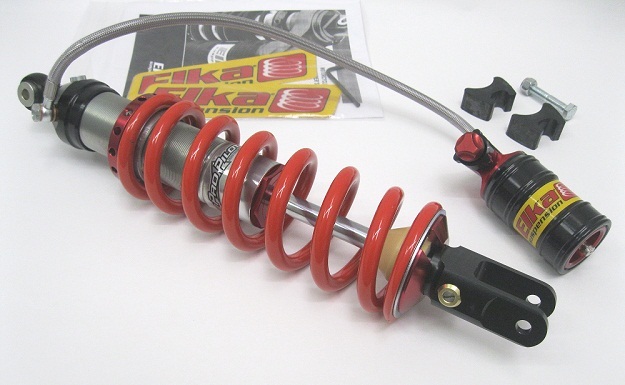 NTR ADV R2 Shock… M-16/46-PBB-GS-D2-L…. NTBKS 53T…. NTR ADV R2 Shock… + HPA M-16/46-PBB-GS-D2-L-HP1…. NTBKS 53TH…. 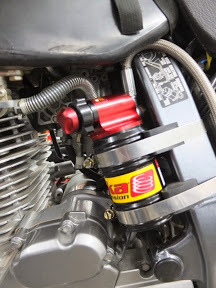 NTR ADV R3 Shock… M-16/46-PBB-GS-D3-L ….NTBKS 53R…. NTR ADV R3 Shock… + HPA M-16/46-PBB-GS-D3-L-HP1…. NTBKS 53RH…. Consider your future loading for shock and spring combinations to work best!. 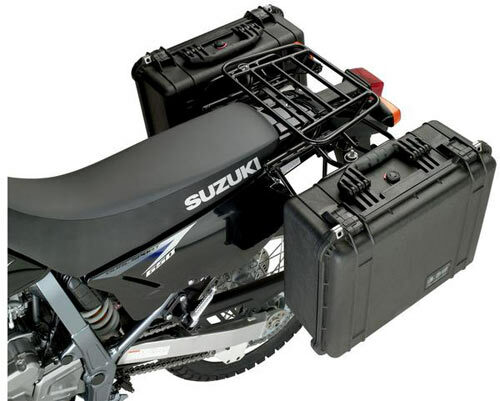 New Moose Expedition complete luggage rack system, fits 1996-2015 we sell these too!. 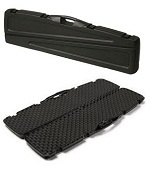 You order the black rack and mount system# 1510-0147, $339.95 (cases sold separately). 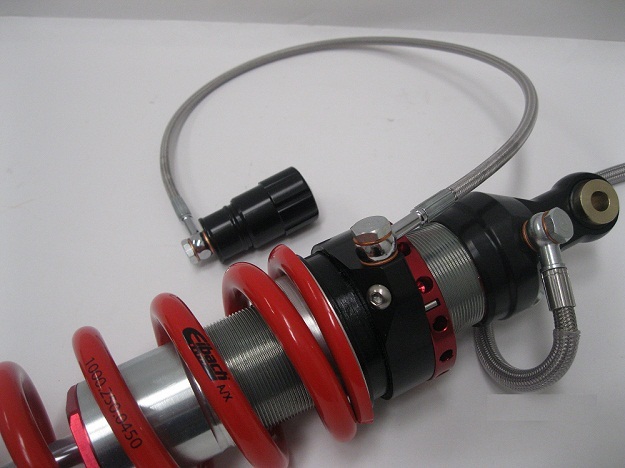 Please contact us at (732) 928-7800 or email: sales@ProPilotSuspension.com for more information about this product.